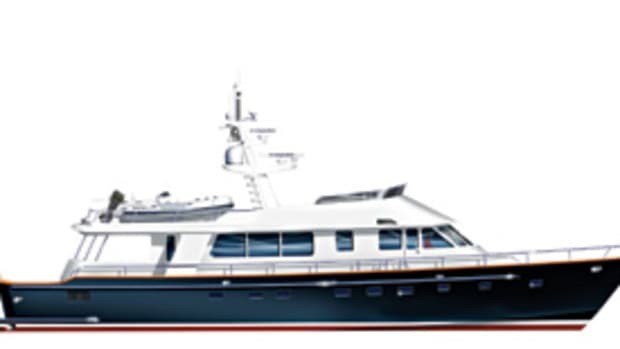 The racy, zig-zag profile of her deckhouse and side windows belies the expansive volume of her interior spaces. 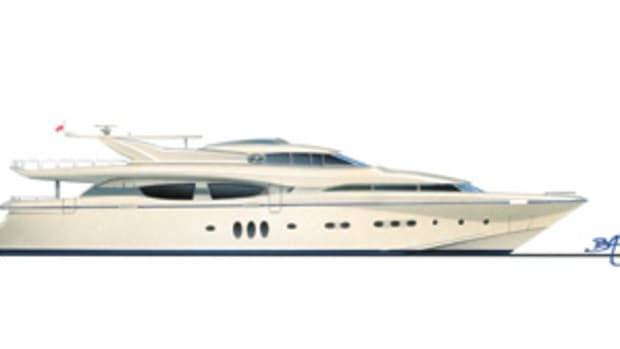 Sure, one might correctly surmise that there is a full-beam master suite forward on the main deck; but who would expect to find two full-beam VIP suites on the lower deck, one amidships and one forward? Separating them are two smaller guest cabins. 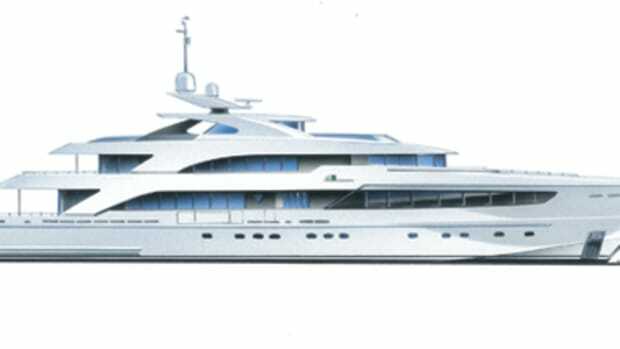 And just forward of (and with access to) the engine room are three staterooms and a lounge/dining area for the captain and four crew. A stairway on the port side provides access from crew staterooms up to the main deck, convenient to the galley and a second set of steps to the pilothouse. The layout thereby allows crew to go about their business with minimum intrusion on the owner&apos;s and guests&apos; accommodations. For dining, the yacht offers three venues, including a formal area amidships on the main deck, a protected alfresco area on the aft deck, and an open-air dinette on the sundeck. 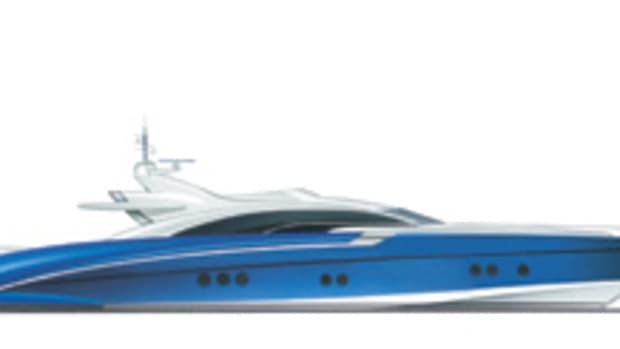 In addition, forward on the sundeck is a sky lounge with a wet bar and a U-shape settee. Atop the forward end of the upper deck is a rakish hardtop with three plexiglass panels that let in soft light or views of the evening sky. 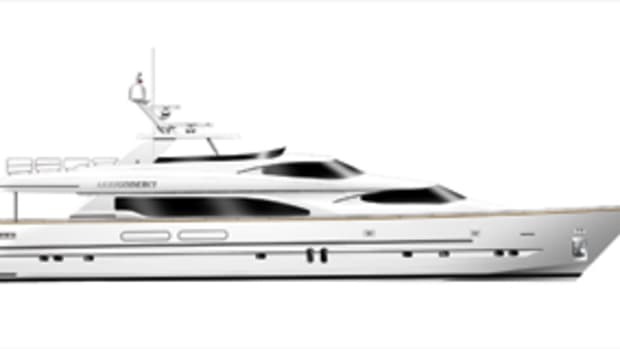 Complementing the yacht&apos;s generous proportions is a powerplant with muscle. 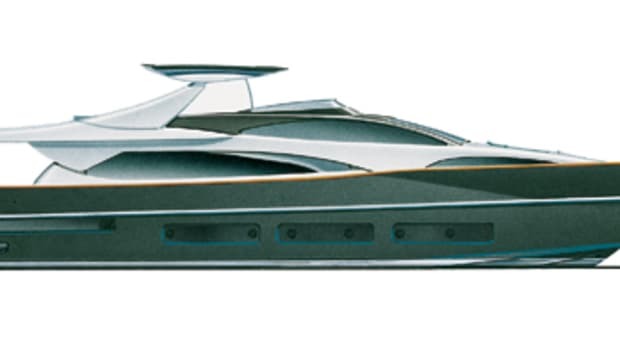 Twin 3,650-hp MTUs should drive her semidisplacement hull to a top speed of about 28 knots, with a fast cruise around 25 knots. 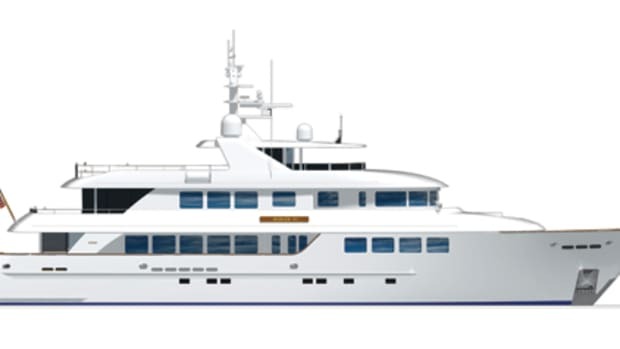 For more leisurely voyaging, she offers a range of about 1,200 nautical miles at a spirited 12-knot cruise speed. 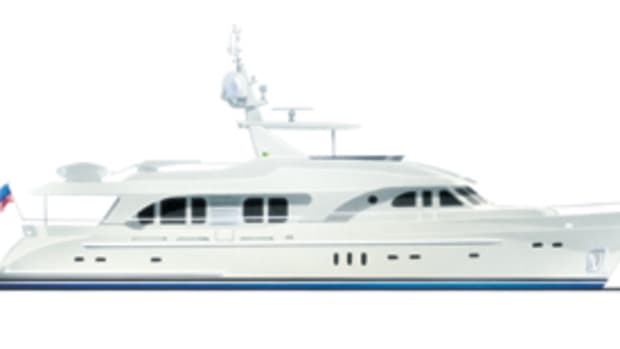 To keep guests comfortable, she&apos;s fitted with a roll-stabilization and trim-control system. 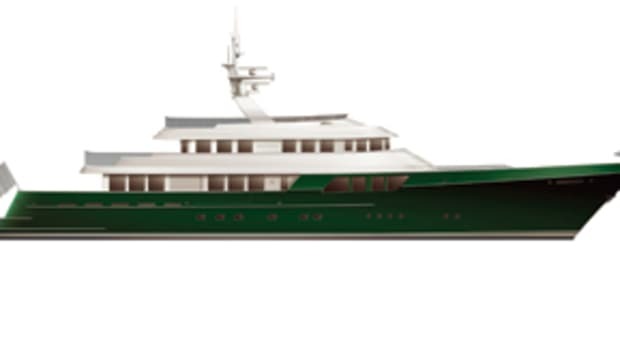 And for peace of mind, she&apos;s designed to comply with RINA and MCA criteria, along with other safety and environmental regulations.